In Europe, the motorcycle industry is booming. Sales rose over 7% in the first half of 2018 compared to the previous year, and Germany was the standout country with a rise of over 10%. Europe’s biggest motorcycle market by sheer volume is Italy though, with 130,000 bikes sold in six months. Fittingly, Italy is also home to the huge EICMA motorcycle show, which has been running in Milan for the past week. There’s been a real buzz around this year’s show, with dozens of new model debuts and concepts. These are our favorites, plus a potential major dud—and it was a hard job to choose. Arc Vector Arc is a company you’ve probably never heard of, and neither had we. It’s run by former Jaguar engineer Mark Truman, and after he left the British car maker, Jaguar ploughed a substantial amount of cash into his new startup. 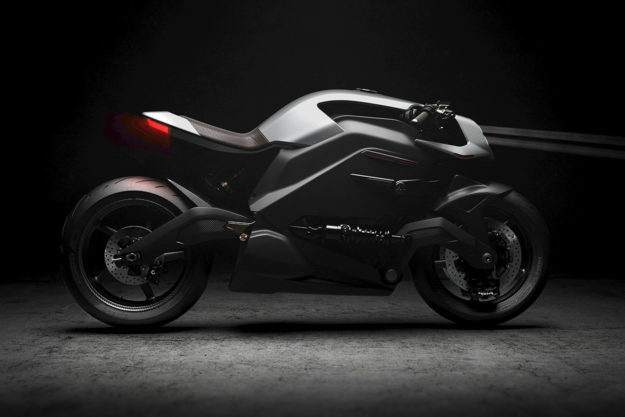 This is the first product: the Vector, a sportbike that weighs 220 kilos and pumps out 133 bhp and 292 foot-pounds of torque. 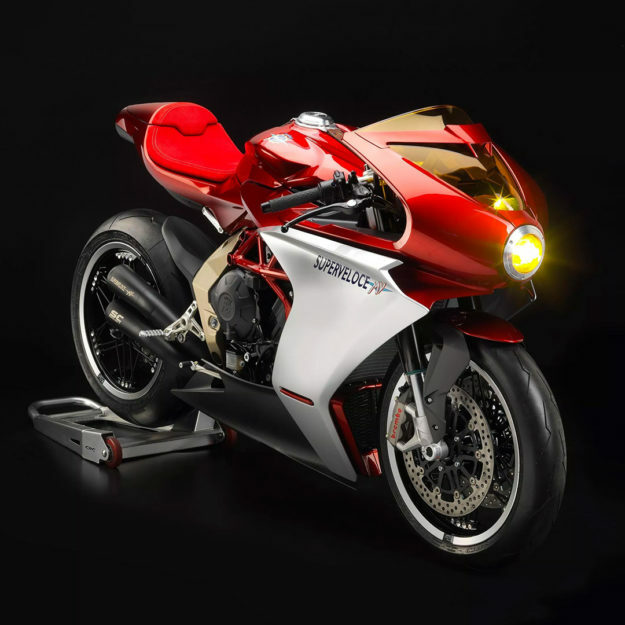 It hits 100 kph in around three seconds, and transmits its instrument data to a heads-up display in a matching helmet. Top speed is 150 mph (241 km/h) and range is 362 miles of urban riding. 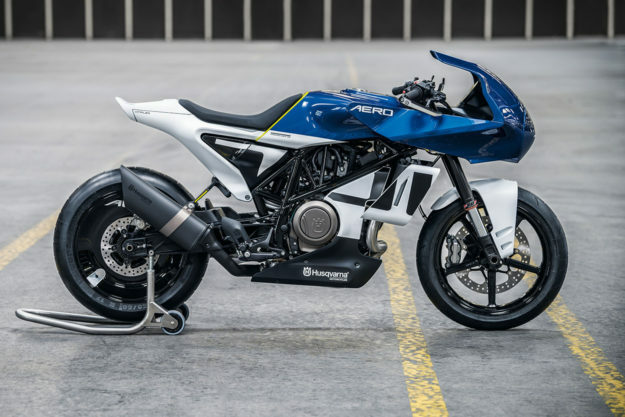 Yes, range—this is an electric motorcycle, with the battery cell and motor encased in a carbon fiber shell, and the suspension attached to the outside. 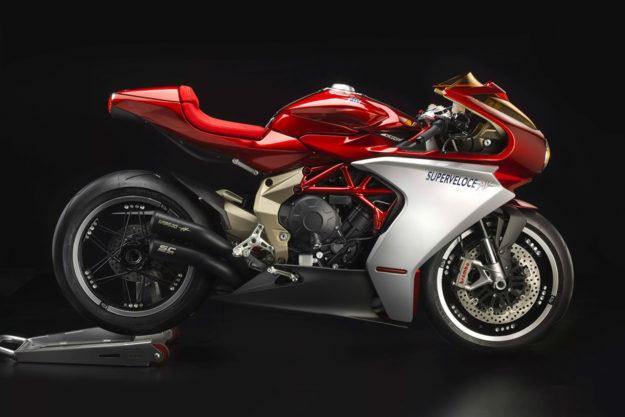 MV Agusta Superveloce 800 MV Agusta is on a roll. It’s just raised a hefty €40 million ($45 million) in funding, it has a new CEO in the shape of the Russian businessman Timur Sardarov, and it displayed a slew of upgrades and range extensions on its stand at EICMA. 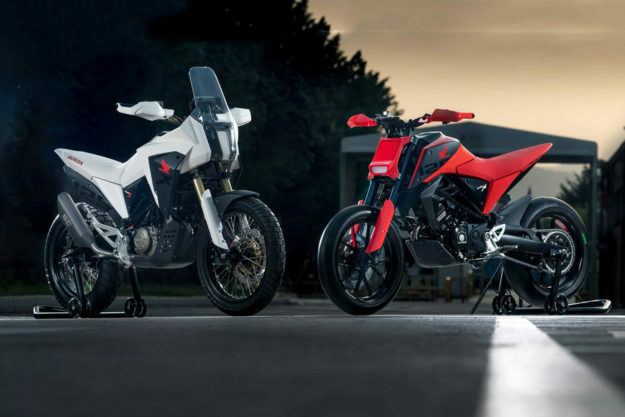 The 205 hp Brutale 1000 Serie Oro looked good, but we’ll take the Superveloce 800 concept, thank you. 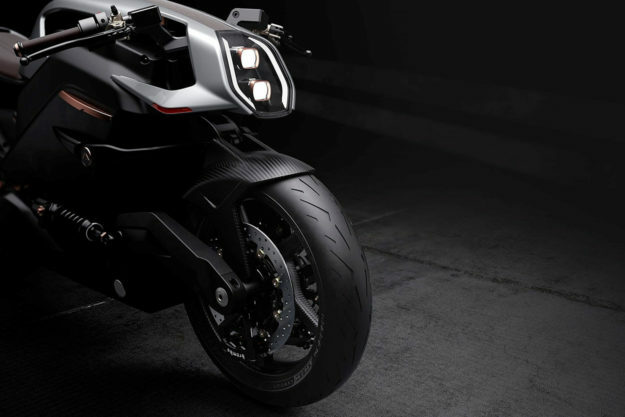 Due to go on sale in the second half of 2019, it’s based on the F3 800 sportbike—but wraps the existing mechanicals in sublime carbon fiber bodywork. There’s more than a hint of classic 1970s racer in the styling, with a yellow tinge to the Plexiglas acrylic windscreen and circular LED headlight, and a leather strap over the fuel tank. Royal Enfield Concept KX Eighty years ago, Royal Enfield made an 1140cc V-twin called the KX. 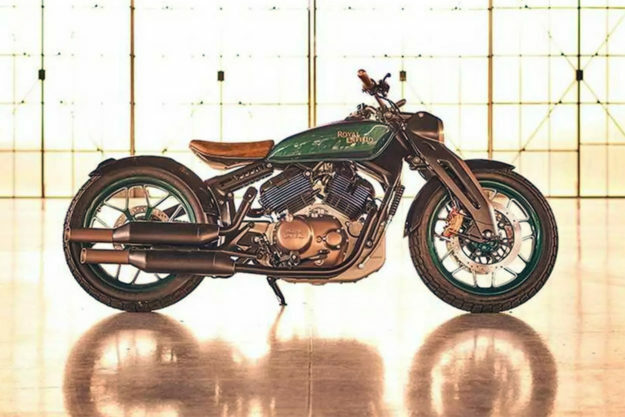 These days they’re better known for big-value singles and parallel twins, but the Indian company dropped a surprise at EICMA—an 838cc bobber tribute to the original KX. 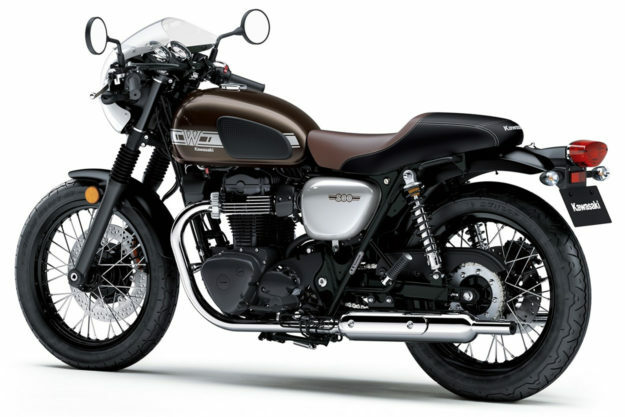 Royal Enfield has said that the Concept KX is not a pre-production model. 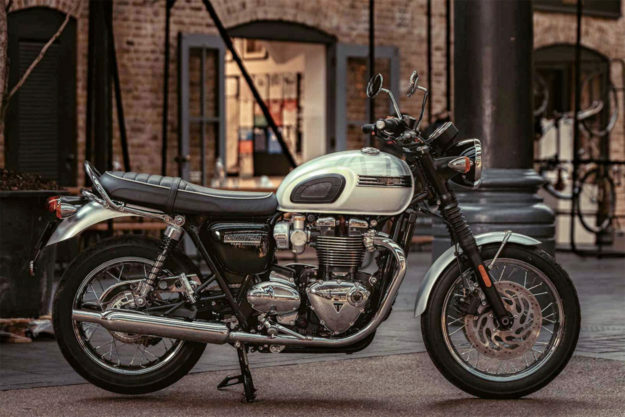 We reckon that’s a shame, because it would appeal to riders who find the Indian Scout and Triumph Bonneville bobbers a little on the large side. It would be amazing if the girder front end made it onto a road bike too. Kawasaki W800 Cafe When Kawasaki retired the slightly underwhelming W800 a couple of years ago, we thought that was the last we’d see of the W series—especially when attention shifted to the Z900RS. But the W800 is now back. It looks much like the previous model, but has a new frame design, a small fairing, slightly beefier 41mm forks and 18-inch spoked wheels front and back. No power figures are available for the 773cc air-cooled parallel twin, but we can assume the engine will be in the same 47 hp ballpark as the previous model. 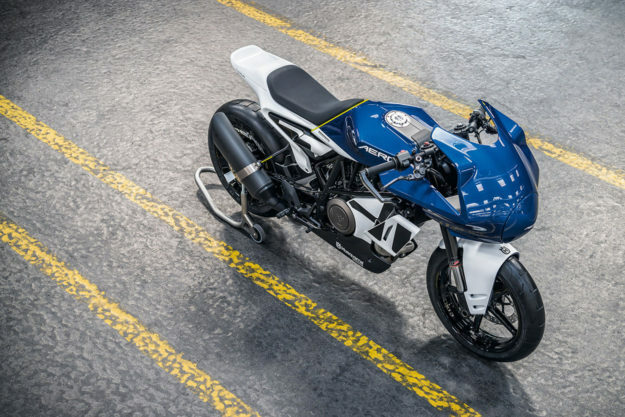 Husqvarna Vitpilen 701 Aero Concept Husqvarna is pushing the styling boundaries like no other motorcycle manufacturer at the moment. The Vitpilen and Svartpilen ranges have established a new design aesthetic, and are great to ride as well: we’ve just put 800 kilometers on a Svartpilen 401 in a long term test for a magazine, and loved it. 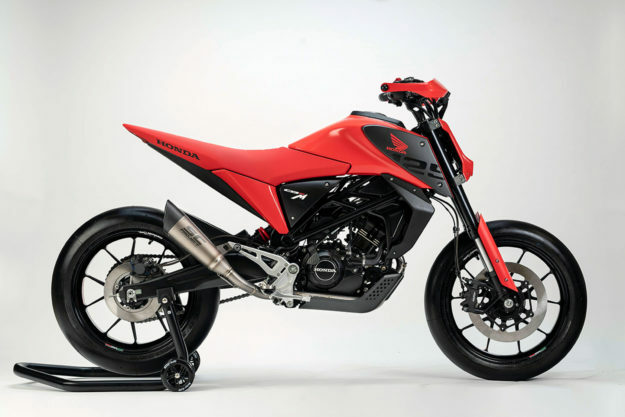 The Svartpilen 701 production bike was revealed at EICMA, but the visual fireworks came from this 701 Aero concept. It’s a stark, single-cylinder sportbike with styling that looks both retro and futuristic, and like nothing else on the market. 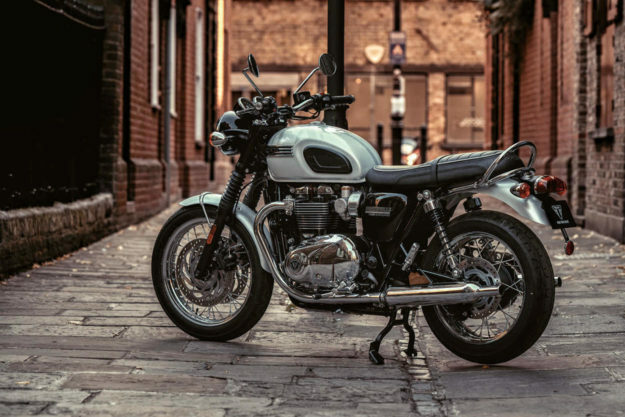 Triumph Bonneville T120 Diamond Edition Next year will be the 60th anniversary of the T120, and Triumph has revealed a ‘Diamond Edition’ to celebrate. There’s nothing radical happening on the mechanical front, but this limited edition looks stunning—and would fool a casual observer into thinking it’s a genuine vintage machine. Just 900 Diamond Editions will be built, all with a subtle white and silver Union flag paint scheme on the tank. 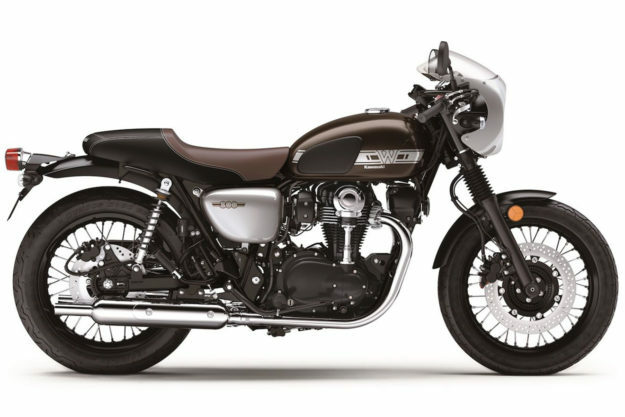 Plus glossy chrome detailing, polished engine cases and a numbered certificate signed by Triumph CEO Nick Bloor. 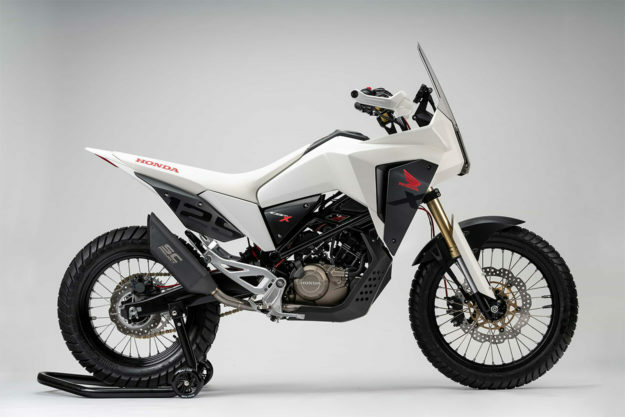 Honda CB125X and CB125M concepts Small capacity bikes are getting a lot of attention at the moment, and Honda has jumped onto the trend with two killer concepts from its European R&D studio. The bikes are based on the new CB125R, which is the smallest variant to adopt Honda’s ‘Neo Sports Café’ look. We’re not particularly sold on that look, but we love the style of these two mini bikes. 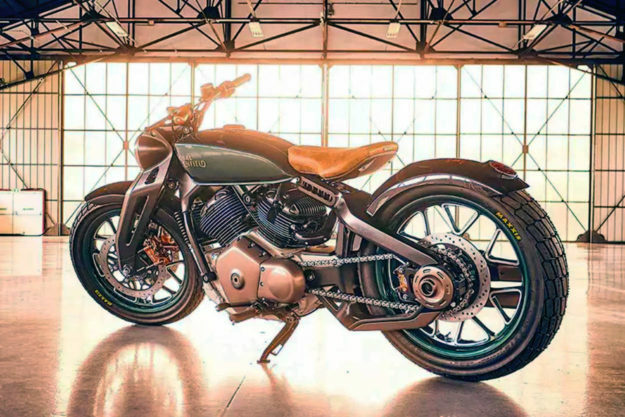 Honda categorizes the CB125M (above) as a supermoto, hence the 17” Marchesini forged aluminum wheels, slick tires and stubby SC Project exhaust. Unlike most sub-250cc road bikes, it looks sharp and balanced. 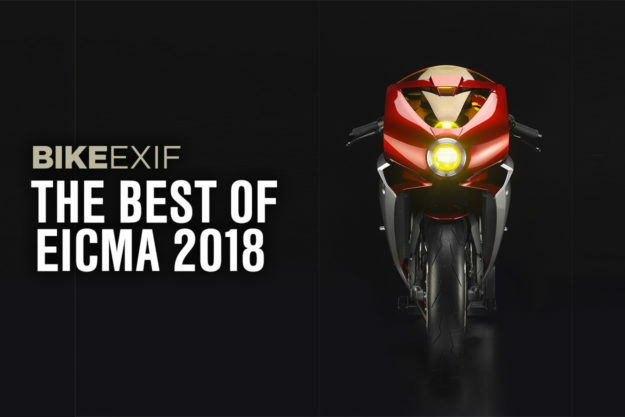 There were plenty of other beautiful machines on display at EICMA, including several Indian FTR 1200s with different accessory packs, a productionized version of Harley’s LiveWire electric motorcycle, and an updated Diavel from Ducati. Where would you spend your own hard-earned cash? Or lottery winnings?